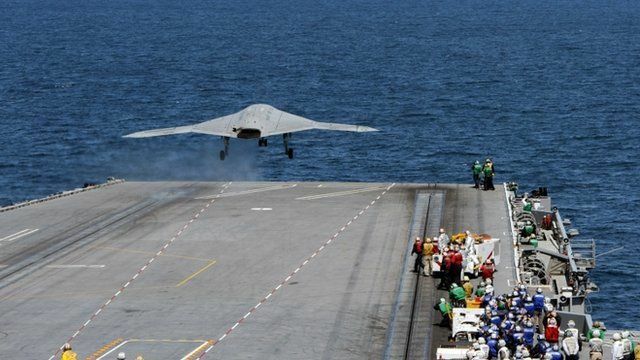 First US drone launch from carrier Jump to media player The US Navy successfully launched an unmanned drone from the deck of an aircraft carrier for the first time on Tuesday, in what officials called a breakthrough for robotic aviation. 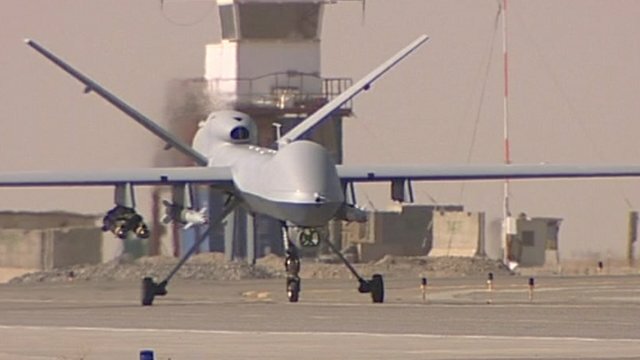 UK drones flown over Afghanistan Jump to media player The Ministry of Defence has confirmed that the unmanned aircraft have flown missions controlled from an RAF base in Lincolnshire. 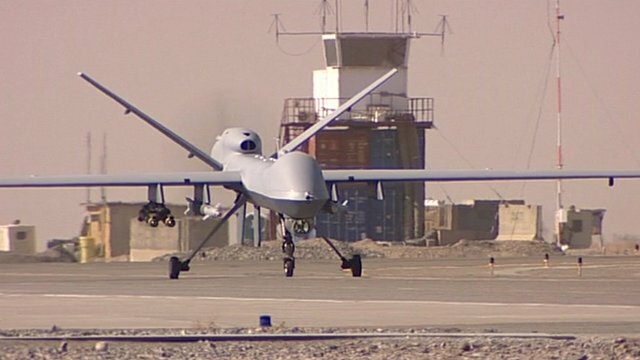 Secret Saudi drone base revealed Jump to media player The US Central Intelligence Agency has been operating a secret airbase for unmanned drones in Saudi Arabia for the past two years, it has been revealed. 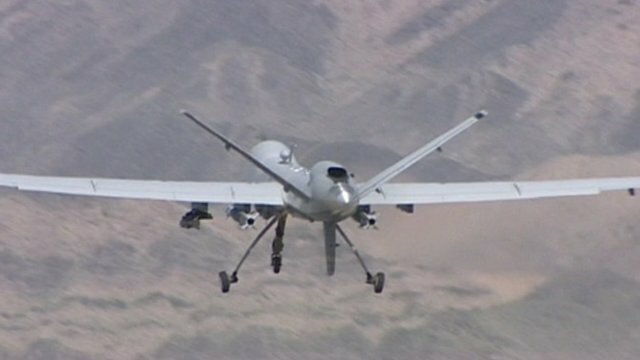 US rejects Iran captures drone claim Jump to media player Iranian state media reported the drone was caught by the country's military forces after it violated its airspace. In a mission that has been described as a milestone for military aviation, the US Navy has launched an unmanned drone from the flight deck of an aircraft carrier for the very first time. The Navy hopes the experimental aircraft will pave the way for a new line of drones that could carry out bombing raids from a carrier, heralding a new era of unmanned naval aircraft.